Bulgari aviator sunglasses with a twist. Bulgari gave it's own interpretation to the classic aviator style sunglasses, the combination of a metal frame with acetate earstems in a metallic color gives these sunglasses a distinguishing style. 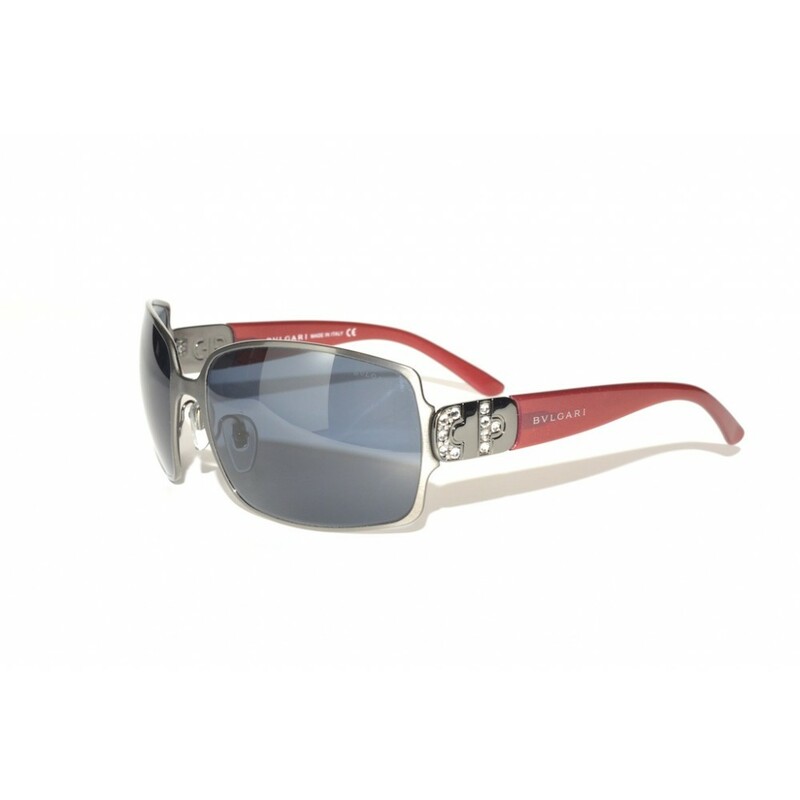 The subtle touch of Swarovski crystals causes these glasses to stand out just that little bit more.